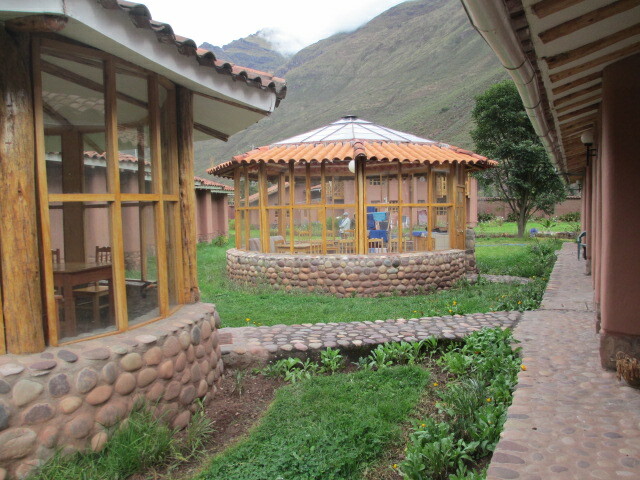 This main entryway into the Paz y Luz compound opens onto a natural dirt road that meanders past some lovely homes and restaurants just a few miles outside of the small Peruvian town of Pisac. 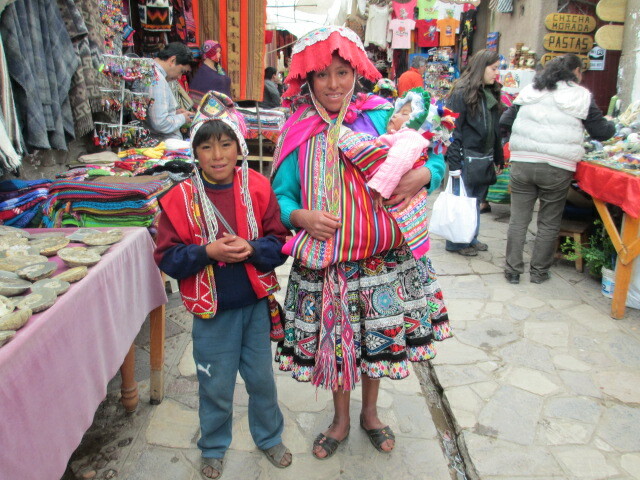 The big city of Cusco is about an hour’s winding taxi ride across the Andes Mountains. Pisac is at the center of The Sacred Valley. The sun disappears behind encircling peaks at exactly 6 p.m. and darkness falls quickly. We are pretty close to the Equator. So, for me, it’s earlier to bed than I’m used to. The flip side to that is that bright sunshine wakes me at exactly 6 a.m!!! 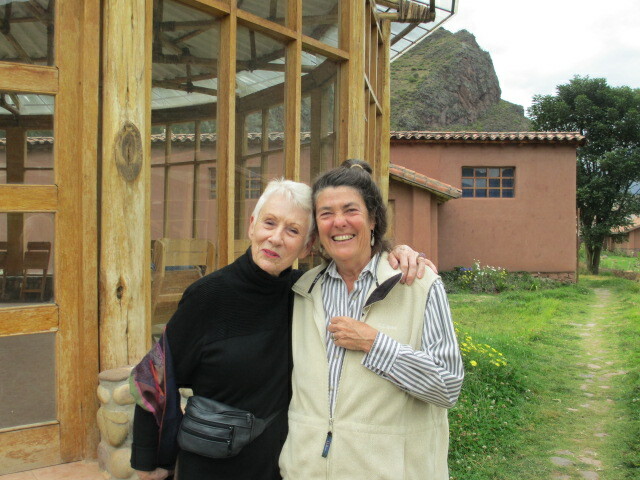 I was lucky to have arrived in time to meet Diane Dunn, a former New Yorker, who studied the shamanic tradition and established this Center for Spiritual Training and Exploration. 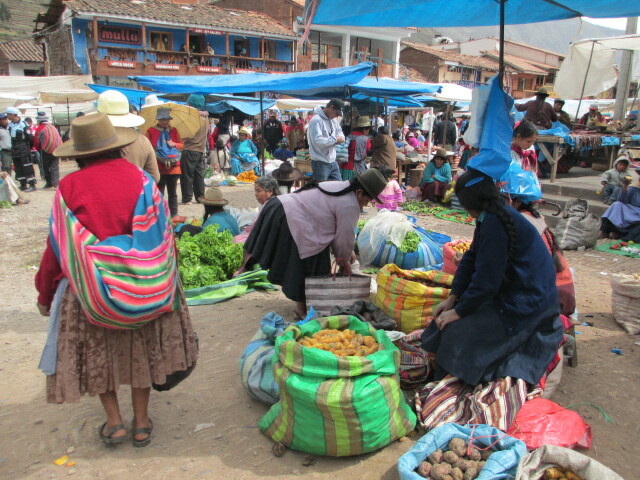 Many groups arrive from all over the world for ten-day study of Yoga, Plant Medicine – Ayahuasca or San Pedro Ceremony, or other forms of Self-Discovery. 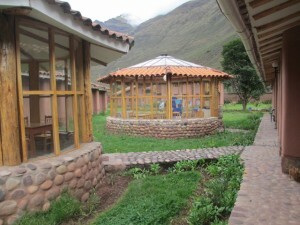 Next door, there is a Cancer Treatment Center, specializing in Juice Therapy and Alternative Medicine. 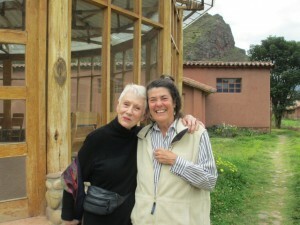 Diane travels all over the world, speaking about her books, Cusco I, Gateway to Inner Wisdom; and Cusco II, The Nine Munay-Ki Initiation Rites. 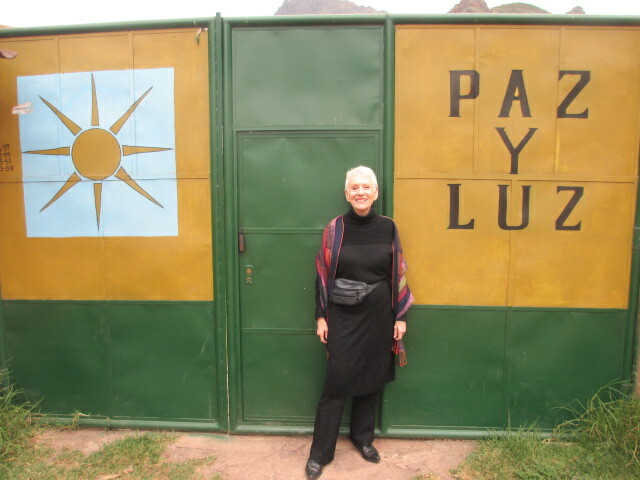 She now teaches these Rites to help people access their Inner Wisdom, spreading the Ancient Andean Traditions in the age opened by the New Millennium.